Computer Games for kids: 3-year-olds to Tweens | Breezy Mama Breezy Mama - Expert parenting advice, celebrity interviews, product reviews for kids, moms and babies and more! Although my son hasn’t watched much Blue’s Clues on television, he has several books and absolutely loves Joe, Steve, Blue and the gang. (He even named his new stuffed animal Joe.) 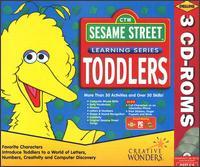 This game is based on teaching the alphabet and learning to identify sounds and words. 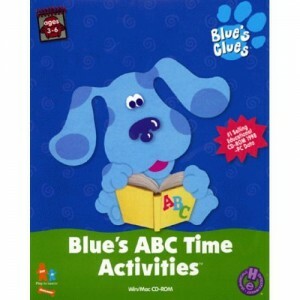 Your child can help Blue make a word book which can then be printed out to enjoy later on. As described by Moby Games: “Children help Blue collect words for her silly story book through various activities, including rhyming with Slippery, going on an animal safari, helping the felt friends with their puzzle and making snacks with Mr. Salt and Mrs. Pepper. Each activity is designed to encourage letter and sound recognition in a fun, familiar setting.” Order yours from Amazon for only $2.00 (and it’s new!). Like any preschooler, my son is infatuated with space (Star Wars is a constant in our house). This CD-ROM brings the solar system to life with a variety of games and lessons. Kieran can now recite (and point out!) each of the planets. 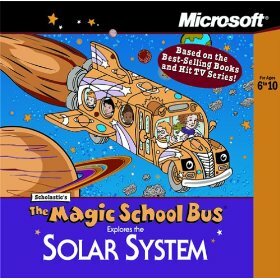 Amazon says, “The Magic School Bus Explores the Solar System features the irrepressible science teacher, Ms. Frizzle, and her inquisitive class in an out-of-this-world adventure. Kids can take control of the bus and explore the nine planets in our solar system, conducting science experiments and playing games at each stop. Based on Scholastic’s book series, this CD-ROM is designed to encourage a sense of adventure and exploration, and an interest in science and technology.” Order yours from Amazon for $40.00 (new) or .80 cents (used). This is an oldie but a goodie. Handed down to him by his 15 year old aunt, Kieran has been playing this since he was two. It contains three disks: Art Workshop, Letters, and Numbers. Simple to use, you only have to go through it a couple of times before your child understands how to do it on his own. A description from Answers.com says, “Combined, these three ‘edutainment’ titles are designed to instruct children ages two to six in the following areas: computer familiarity, mouse skills, letter and number recognition, vocabulary, rhyming, sound associations, creativity, shapes and colors, creativity, phonics, spatial relationships, visual discrimination, self-confidence and more.” Order yours from Amazon for only $10.00. My son loves the I Spy books. However, he can’t read, so he can’t do the puzzle on his own–which is why this game is so great. Based on the same ideas as the book (there’s a picture, and you click on the item that’s listed on the riddle), there’s a narrator who reads the list of items to find. As your child finds them, the words are changed from gray to green. What does this mean? No reading required, and lots of fun for your child. It’s even fun for you—I swear! 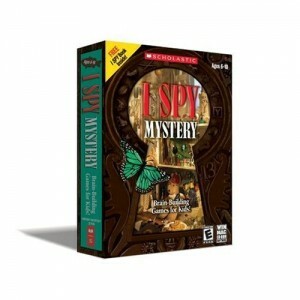 Common Sense Media writes, “The mystery format provides great motivation to solve each I Spy puzzle within a mystery folder. The pictures used as puzzles are intricate and fascinating, and solving them requires thinking and problem-solving skills. Parents might want to play with children under age 6 because some of the riddles are very clever, and finding the objects can be challenging.” Order yours from Amazon for only $17.00. The ultimate in games, this site has something for everyone. Virtually anyone can log on and find something to play—from social networking games to preschool games galore. They are easy to learn, and easy to do. There’s also a plethora of activities, coloring pages, party ideas, etc. Definitely my son’s favorite online game source. This was recommended to me by First Grade teacher and Breezy Mama Jen. It concentrates on teaching the child how to read—all done with fun and interactive games. Like Disney, PBS Kids does a great job tailoring their games to kids of all ages. There are games and activities based on all of the preschool shows (any Curious George fans out there? ), as well as those that are older, such as WordGirl and Fetch! Breezy Mama Tip: Want to get your child a “computer” of his/her own? Click here to read Breezy Mama’s review on the Vtech Tote & Go Laptop. Want to get YOUR entertainment every day? Subscribe to Breezy Mama — it’s free! Click here! My 7 year old Emily, loves http://www.funbrain.com and http://www.brainpop.com. Chloe loves Starfall. The website Starfall is my kids’ new best friend-and mine! We love ZiggityZoom.com at our house… lots of Fun and Creative things to do on the site plus Educational worksheets and free printables.